• Men who have started saving for retirement have saved an average of $41,000 more than similar women ($149,000 and $108,000, respectively). • Women with children have saved even less than average, coming up an average of $61,000 less in savings than men ($88,000). 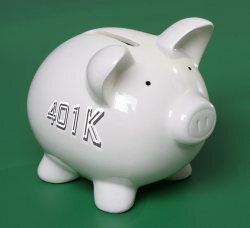 • Of those deferring salary into 401(k) type plans, 42 percent of women are in the lower savings bracket, which means just 1 to 5 percent of their salary goes to their retirement plans; about one-third of men fall into this bracket. • Only one-quarter of women have a formal investment plan in place as a means for reaching their retirement goals compared to one-third of men. These data reflect the subjective feeling of being unprepared for retirement reported by 56 percent of women, compared to 42 percent of men. Exacerbating the issue is the fact that the women live an average of 8 percent longer than men (around five years more) so sink more of their savings into health care as a direct consequence. ING argued that the persistent pay gap bore only partial blame for the difference and that the disproportionate number of single mothers accounted for some of the disparity since they must spend more time out of the workforce in order to care for their offspring.